Ahead of Chinese New Year, Wing Yip, the UK’s leading Oriental food retailer is holding a special celebration of all things Oriental on Saturday 9th February at its Manchester superstore with a spectacular lion dance show from the Master Chu Lion Dancers. Taking to the dance floor at 3pm at the Oldham Road store, shoppers are invited to come along and enjoy the performance in honour of Chinese New Year – which this year will fall on Sunday 10th February. The lion dance is a traditional dance in Chinese culture performed by two people that mimic a lion’s movement in a lion costume. 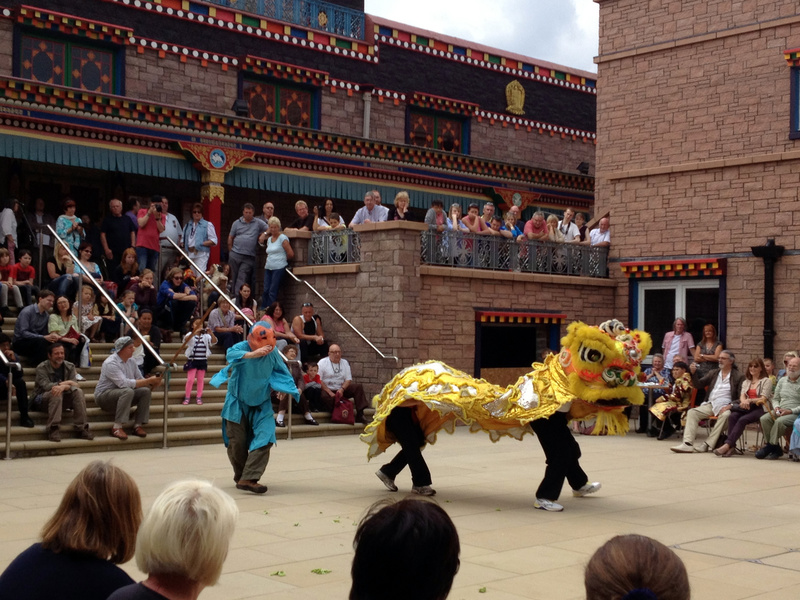 Not to be confused with the dragon dance, the lion dance is performed by two individuals with their faces covered, whilst the dragon dance is performed by several people with their faces on show. Basic lion dance moves can be found in most Chinese martial arts. Traditionally the lion is regarded as a guardian creature and the Southern Chinese style dance that will be performed this Saturday is known in Chinese culture to summon good luck and fortune for the year ahead. Chinese New Year is the biggest date in the Oriental calendar and should be celebrated accordingly! This Saturday our Manchester customers are in for a real treat and we hope everyone that comes along to see the dance has a prosperous 2013. Wing Yip is the UK’s leading Chinese grocer, with stores in Birmingham, Manchester, Cricklewood and Croydon. A visit to one of the stores is like taking a trip around the world, with over 4,500 products from the Far East. Recipes are available from the Wing Yip recipe library at www.wingyipstore.co.uk, each has easy to follow instructions and an ingredients list.